Why are so many Japanese sci-fi thrillers so sure our near-future rulers will try to tyrannize us, dehumanize us or, as in “Batoru Rowaiaru (Battle Royale),” make us slaughter each other, even when our only crime is possessing raging adolescent hormones? Given what I’ve seen of Tokyo’s Kabutocho financial district these past few decades I’m less afraid of the ruthless than the clueless. Based on a novel by Keigo Higashino, who has supplied fictional fodder for many TV dramas and films, the sci-fi thriller “Purachina Deta (Platinum Data)” is set in 2017, a very near future indeed. 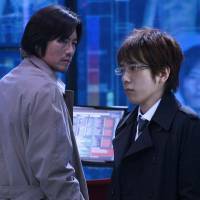 DNA analysis, however, has progressed so far that from one strand of a murder victim’s hair, arrogant, whip-smart police DNA expert Ryuhei Kagura (Kazunari Ninomiya) can rattle off a long list of the killer’s characteristics, down to the length of his toes. Soon after, the cops ID and arrest the suspect using the DNA Investigation System that Kagura and his colleagues have developed. Reiji Asama (Etsushi Toyokawa), a veteran detective on the case, suspects that all is not ethically kosher at Kagura’s Special Analysis Research Institute, though he can’t quite say what or why. Several months later, he and Kagura come into contact again when autistic math whiz Saki Tateshina (Kiko Mizuhara) and her brother and fellow Institute programmer are killed, the latest in a series of victims with a rib removed postmortem. Then Kagura is fingered as a suspect when a police security-camera check locates him near the murder scene and, more seriously, his DNA is found there. When Kagura runs from the cops, loudly protesting his innocence, Asama has to give chase — only now he has a hunch Kagura isn’t lying. Here the plot summary will have to stop since, as with much of Higashino’s work, twists multiply in the manner of the classical whodunit and it would not do to reveal any of them in advance. Director Keishi Otomo, a TV drama veteran who also helmed the hit manga-to-movie swashbuckler “Rurouni Kenshin,” films the ensuing action with the restless camera, quick cuts and ominous atmospherics (abetted by Hiroyuki Sawano’s thrumming, repetitive techno score) of many a Hollywood thriller. What he and his thoroughly pro staff don’t do, however, is elide the improbabilities and cliches embedded in the script; instead they celebrate them full-bore, somewhat like a multi-octave “American Idol” contestant trying to out-Freddie Mercury Freddie Mercury, while winning no points for originality. 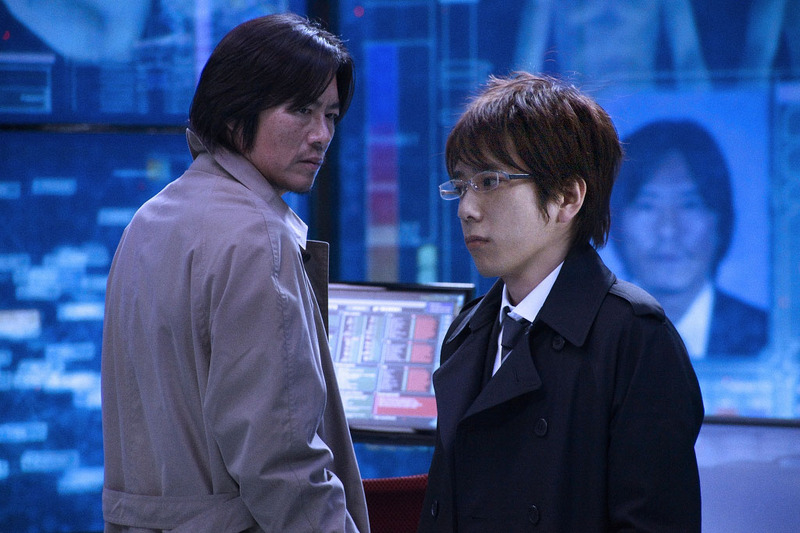 But Toyokawa, as the dogged detective who first starts to put the pieces together, serves as a much-needed exemplar of down-to-earth, old-school analog humanity in the film’s brave new world of DNA determinism, in which human beings are treated like so many lines of digital code to be tracked and manipulated. I will not announce the ending of “Platinum Data,” though I will say that it departs from the Hollywood template long enough to deliver the local brand of tragic schmaltz. I’m sure the producers couldn’t help it — it’s in their DNA. Fun fact: Arashi’s Kazunari Ninomiya won a starring role in Clint Eastwood’s “Letters From Iwo Jima” in an audition. His turn won him plaudits abroad, but he has not appeared in an overseas film since.